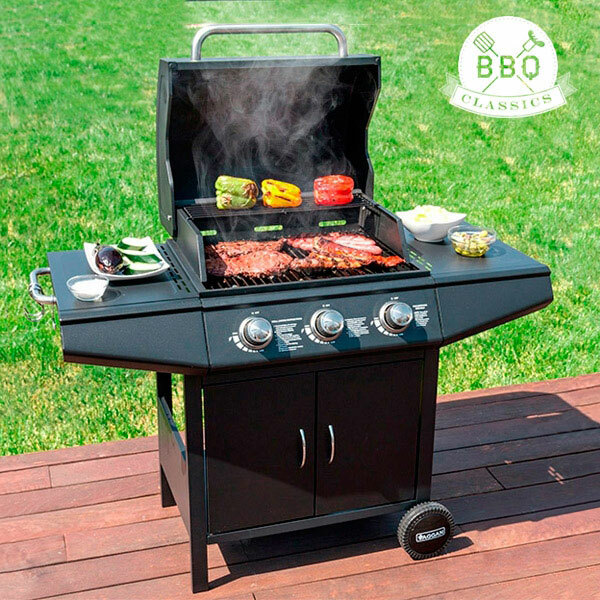 This portable barbecue is ideal for parties and celebrations. You can cook using the grill or the griddle (approx. : 55 x 43cm) with the lid open or closed. 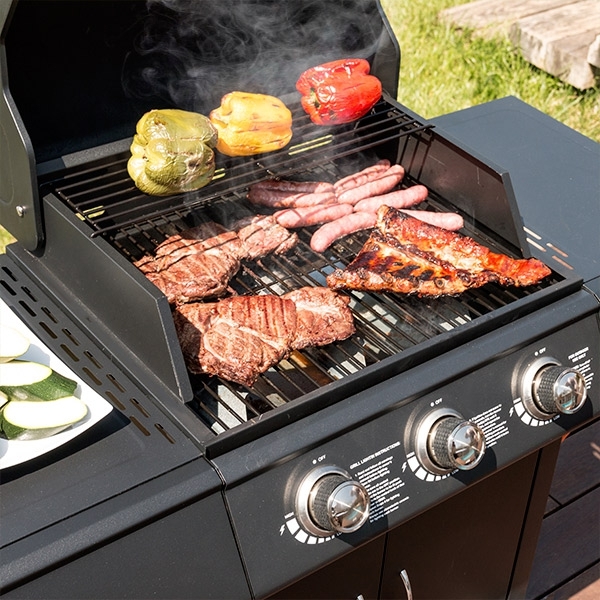 This outside barbecue features 3 burners, 2 wide side tables, hooks for organising the utensils, a bottom cupboard and wheels to ease its transport. Approx. dimensions: 104 x 115 x 57cm. It features instructions and mounting hardware.